At Acorn Glass and Glazing we produce double glazed units in our Newport factory using ScreenLine integral blinds sets, installed within the double-glazed unit making them maintenance free with excellent functionality and providing you with both ease and a sleek, stylish finish to your glazing. 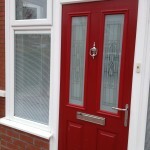 They provide you with the privacy you need, when you want it, and are available in a wide range of colours. They are not prone to external damage through building use, pets or children, and will assist in increasing the overall solar and thermal efficiency of the glazed unit in which they are installed. They will also enable you to achieve improvements to the acoustics of the rooms either side. Their installation within the glazed unit also makes them particularly suitable in maintaining hygienic standards/levels. Venetian Blinds and Pleated Blinds can be supplied in a wide range of different colours and sizes, which are different for each type of blind and model, so there’ll be blinds suited to almost every residential or commercial property and your desired colour scheme. The ScreenLine integral blind is a system of blinds which are assembled and permanently sealed within the double glazing cavity; once sealed in this totally dust-free environment, the blinds require no cleaning, always appear new and are protected from damage. One of the reasons Acorn Glass and Glazing choose to install ScreenLine Integrated Blinds is that they are built with a patented magnetic drive system, which enables them to be sealed within double or triple glazed units without compromising the integrity of the hermetic seal. This hermetic seal ensures that air and moisture cannot enter inside the unit once it is sealed and so the longevity of the double-glazing and the blinds is assured. They are ideal for Bi-folding and patio doors, large glazed areas, internal partitions and dividing walls and are available with a 12.5mm slat in a standard colour pallet range. The Screenline blinds are available in either a Venetian, pleated and slide magnetic variety giving you further options in achieving a finished product that will be pleasing to all with the venetian blinds being manufactured with an advanced tilting and lifting blind system.. Both the venetian and pleated blinds are designed and manufactured in accordance with high technical specifications and stringent production standards set by screenline. The slat rising, lowering and tilting functions are achieved using a rotational magnetic transmission through the glass, guaranteeing the units hermetic seal. 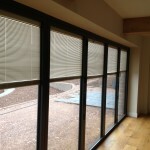 The wide product choice and versatility of operation screeline blinds makes them suitable for all types of framing systems and can be installed into any window system (Upvc, aluminium, wood or metal) providing the glazing rebate has been made to except a minimum of 28mm double glazed unit plus glazing compounds and seals. The range of pleated colours also provide you with a choice of differing fabrics. An electrically operated system with numerous options is available but feasibility for speed restrictions will need to be checked before this option is chosen. The ScreenLine® system designed with the rotational frontal magnetic control for raising and tilting a blind integrated within a double-glazed unit. It utilises the force produced by two coupled rotational magnetic devices. The ScreenLine® SL20S is a manual system comprising a 14 mm pleated blind integrated within a double glazing unit with 20 mm cavity. S System Venetian blinds are designed with an external sliding magnetic control which both raises/lowers and tilts/turns the Venetian blinds encapsulated within the double glazing unit. The control is made from anti-bacterial plastic, making this system ideal for use in hospitals and healthcare. The ScreenLine® SL20-22F is a battery operated motorised blind system. 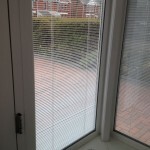 With this system, a venetian or pleated blind encapsulated within a double glazing unit can be raised or lowered via a control device attached to the window or, more comfortably, by remote control. W system The SL20-22W battery operated motorised blind is available in the residential range for a 20mm or 22mm airspace and can be raised or lowered and tilted and turned using a touch sensitive battery module which is mounted on the window frame or glass. A remote control is also available to control up to 99 blinds. The ScreenLine® SL20 22M and SL27M system is a significant improvement on previous electrical systems used for raising / lowering and tilting blinds. The ScreenLine® SL20P system comprises a venetian blind integrated in a double-glazing unit. The ScreenLine® system is designed with rotational frontal magnetic control for raising and tilting a blind integrated within a double-glazed unit. It utilises the force produced by two coupled rotational magnetic devices. One set of magnets is inserted in the blind head rail within the cavity and the other applied to the external glass surface. This magnet principle does not compromise the unit seal and guarantees the perfect integrity of the double-glazing unit. The Neodymium N35H magnets have an unlimited life and are resistant to high temperatures (+ 120°). The system combines a simple rational structure, limited cost and great functionality. The ScreenLine® system with frontal rotational magnetic control can be readily transported for installation into standard double-glazing units with 20 mm, 22 mm, 27 mm and 32 mm cavities for venetian and pleated blinds, 27 mm cavities for roller blinds and 27 and 32 mm for pleated blinds. The system is particularly suited to structural façades, however there are no limits to its application, especially where a balance between its excellent technical qualities and refined aesthetic features are required.